Being a working parent is tough, and plenty of us complain about being constantly overscheduled. But I admit I have nothing to whine about. Because I am not a working parent who is also a superhuman athlete and conservation ambassador who also happens to hold the world record for most Olympic medals. 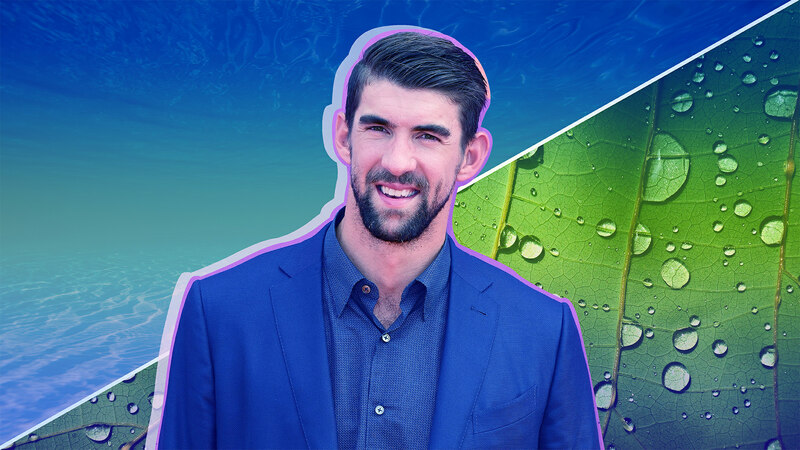 No, that title applies to one person only: the dude who reinvented the meaning of “dad bod.” We caught up with Michael Phelps in NYC to chat all things dad life, social media, water conservation and the epidemic of underserved mental health needs in this country. 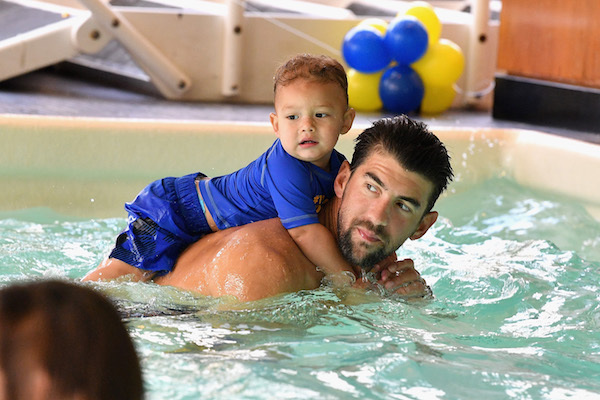 Read on for Phelps’ thoughts on parenting, the planet and just plain getting through life — plus his son’s preternatural abilities in sign language, hacking and fake dad-spotting. SheKnows: How’s dad life treating you? Michael Phelps: Boomer is amazing. He’s truly turning into a real human; he knows sign language, so he can sign if he wants water, more food, he knows thank you and please. It’s incredible to watch. He’s already like me — my mom has always said I used to bounce off the wall and never stop talking or sit still. I’m starting to see that with him. I guess it’s living proof he’s part of me. MP: I was very fortunate at a young age to learn what goal setting is and how to take time and spend it the right way. I have a lot going on now, but I want my family to have everything I had growing up and more, and yeah, for me to do that there are times when I need to jump on a plane and travel around the world in a week. But also, it’s like, if I start getting burnt out, I know when I need to take a break. Your body tells you; just listen to what your heart is saying. SK: He spots all the fake Michaels! Boomer already has his own Instagram account with 800,000 followers. How do you think he’ll react when he’s old enough to realize what it is? MP: I started it, just doing it for fun, and I never thought it would take off like it did. During the Olympics, he was gaining, like, 150,000 followers a night! What do we do when he’s old enough to take it over? He gets another account, that’s what. He makes his own. I mean, I have a goal to get his current one over 1 million, so I’m not just going to hand that over to the kid [laughs]. SK: What are your wishes for your kids’ futures? Do you hope they become athletes too? Activists? Hover board pilots circa 2040? MP: I’m fortunate to have an amazing, strong mother who is so supportive of everything we did growing up — but she was someone who never forced us to go swim or to go do this or that. She helped us think about certain consequences when we needed to, but we made our own decisions. I think if I were forced to swim, I wouldn’t have stayed in the pool as long as I did. So as long as Booms is happy and the next child is happy and they’re doing what they love, I’m happy. I mean, I had a job that allowed me to work out for a living and represent my country. I had a really good gig for a long time. So if Booms wants to play sports or an instrument or doesn’t, that’s great. Our time on Earth is already short enough. For me, it’s like every single day I try to be as happy as I can. It’s crazy to think about. We never have enough time. That’s always the thing. We always want to do more. So it’s about being able to spend time on the things that are most important to you. Life is a lot easier that way, and obviously life is pretty difficult a lot of the time. SK: Did becoming a parent make you more worried for what kind of world we’re leaving our kids? It definitely did for me. MP: Yeah, every day, there’s always something to be worried about; you turn on the news and see something different every day, and it’s terrible. Hopefully, as Americans, and as the inhabitants of the world, we can come together. We need to change lives — whether that’s conserving water, destigmatizing mental health treatment or something else. We can change lives. SK: What inspired you to become an environmental activist and the global ambassador for Colgate’s Save Water initiative? MP: Water has always been a large part of my life, so for me now, being a father with another child on the way, I’m just teaching some of the small things I’ve been able to learn — and passing that onto the younger generation. Small things like turning your faucet off when you brush your teeth, not taking a 30-minute shower when you really don’t need to. A family of four uses an average of 4 gallons of water a day. It’s not like we have an endless supply here, and there are people around the world who don’t even have access to clean water. So I want to teach the younger generation to spread the message and make a difference. I’m almost more excited to do this than I was to swim. SK: Can we really make a difference when our country’s leadership refuses to prioritize the environment and denies climate change? MP: It’s so tricky, because they’re who run our country and run our world. But if we can continue to come together and work on small things little by little, at least it’s something. It’s a start. At least now there’s a lot more talk about climate change and the Earth’s state than when I was a kid. I guess it’s better late than never? But it’s also very tricky because this is something that’s so important to so many of us, and a lot of people don’t see it that way. But hopefully, we can get all our points across to them — one by one, one person at a time. SK: You were born in 1985, 18 days before I was (thank you, Google). What do you think is the biggest difference between when you and I were growing up in the ’80s/’90s and what kids today are faced with? MP: The biggest difference is obviously technology and where the world has gone with that. Like, Boomer already knows how to get into my phone, even though it’s locked — and there’s no way he can type six digits on a keypad, but he somehow hotwires my phone and gets right in. But with social media, so many people have anxiety and depression because of it. Of course it’s somewhat good, but it can present so many issues; more and more we’re seeing what that’s causing, and it’s even leading to deaths. I just got finished doing a documentary called Anx with children talking about anxiety and recognizing their emotions and understanding them better. We need to let kids know it’s OK to not be OK. And we need to help them be comfortable talking about it. SK: Beyond just social media, is there increased pressure for today’s kids to look, act, be successful/seemingly perfect early and often? MP: For all of us. And it was not too long ago that I finally became open to talking about that myself. There’s such a high stigma around talking about your feelings or insecurities because, especially for men, we don’t want to show that “weakness.” But I’m always like, “OK, what would you rather do: Show weakness and get better, or continue to get worse and who knows where that leads?” There’s something behind the suicide rate continuing to climb year after year. Why don’t we ask for help? SK: Because of stigma, for sure, but also because of lack of treatment access, right? MP: Yes. And I hope seeing a therapist becomes 10 times easier in the future. For me, once I came out of treatment, I got into a therapist and continued my road to recovery and health and happiness. But not everyone can do that. It’s challenging to see a therapist when you work full-time, when you can’t get an appointment within a week, and then by the time you do get one, maybe you feel like your “problem” has lessened and you don’t bother to go in. It’s about access. SK: And insurance. Most people can’t pay $100 or whatever for a 45-minute therapy session. MP: Good luck finding a therapist appointment for only $100 — I’ve heard the average nowadays is $150 to $200 all the way up to $700, $800 for an hour! We need to make seeing a therapist more accessible; we’ve got to crack down on this and allow people the opportunity to seek help. It’s going to be a game-changer. I would love people to become more vulnerable and reach out and ask for help. I would never want somebody to go through the feelings I had, almost exactly three years ago, of not wanting to be alive. That’s a scary thing, and to think of where I am today compared to that — that’s way bigger than winning a gold medal.